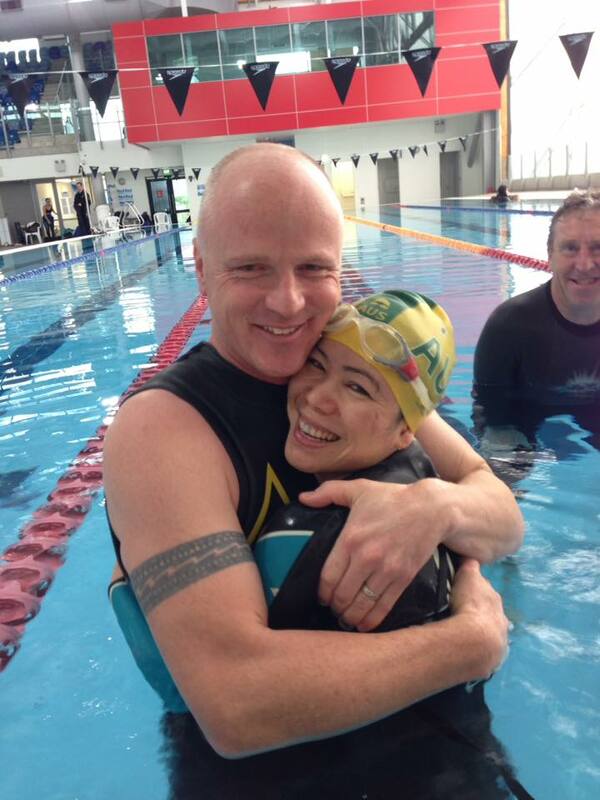 From 4–6 August, at the AUT Millennium National Aquatic Centre in Auckland, New Zealand hosted the inaugural Trans-Tasman Team Freediving Competition, pitting two Australian teams and two New Zealand teams against each other, along with a club competition running in parallel to allow new competitors the chance to experience competition with top names in world freediving. The plan was to foster development of team competitions, grow the sport, and give the national reps something a little different to compete in, as the team competition has more nuance and strategy to it than individual competition. Australia was facing stiff competition with the NZ team boasting 7 world and 49 national records combined. The NZ team comprising Dave Mullins, Guy Brew, Kathryn Nevatt and Ant Williams took out the national competition with a combined total of 923.5 points from 12 starts (each diver competed once per discipline). Australia, comprising Leigh Woolley, Nicole Keating, Brent Quilliam and Craig de Vos, took out second place with a combined total of 743.5 points, and provided excellent competition to the other three teams. The New Zealand A team (Chris Marshall, Lewis Jones, Tania Rounthwaite, Phil Clayton) had some injury concerns leading up to the competition. In spite of this – and a last-minute replacement – they ended third, with 709 points. Recognition must be given to fourth-placed Australia A (Natasha Darke, Andrew Kelly, Mark Williams, Anh Tu), who competed as a development squad and racked up 515 points. They showed heart, discipline and great sportsmanship as participants. The club teams brought enthusiasm and hard work to their sessions. Auckland A had outstanding performances, finishing with a blistering 704.5 points, and made the New Zealand A team think very carefully about their intended distances. Brisbane team Packing Narked had a difficult start with divers withdrawing but managed a very respectable 508 points for the competition, placing them in second. The all-women team from Wellington, the Lady Seals, were easy to spot with their signature hot pink swimming caps and unicorn mascot, and celebrated a third place of 495.5 points. Auckland B came in fourth with 472.5 points, displaying great discipline under pressure, with the T3C their first freediving competition. Melbourne’s Breathing is Overrated knocked out a series of impressive PB’s for their 422.5, but illness and a red card made for a difficult final day. Thanks to judges John Wright, Ben Noble, Aya Mizumura, Shelley Gurney, Kathryn Nevatt, and Ben Jeffares for keeping the competition ticking over; Nick Rhodes, Joy Keene, Chris Marshall and Phil Clayton, Michael Bates and Marine Pomarede, and Mal Bird for the behind-the-scenes organisation, the many volunteers and safeties, and to Tulsi Contemporary Indian, Ocean Hunter and Beuchat, and Holmes Construction for sponsoring the event. The second Trans-Tasman Team competition will take place in Australia, 2018. By Shelley Gurney. This article originally appeared in Dive NZ and has been reprinted with permission. It has been modified to fit with the AFA’s editorial content.